"Pretty much comfort and a little bit quirky city life that goes on." I like her chunky cardigan worn with a denim chambray dress. I'm glad she wore an interesting belt to bring in the silhouette of the A-line dress. 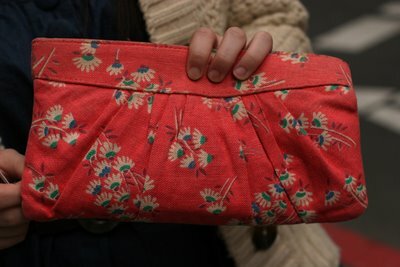 Very cute clutch in vintage fabric. thos bead in the belt are so nice. nice photos in the details, this is a ready-for spring winterish outfit. gla you spott4ed her, she looks so put together. I love how she's funky yet subtle, and pulled together yet casual. 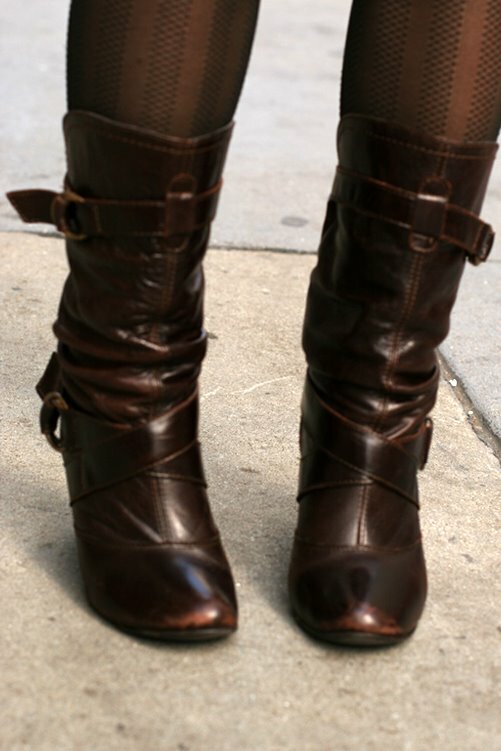 Is tailored bohemian an oxymoron? thanks everyone for the kind words! i'm stoked you liked what i was wearing.